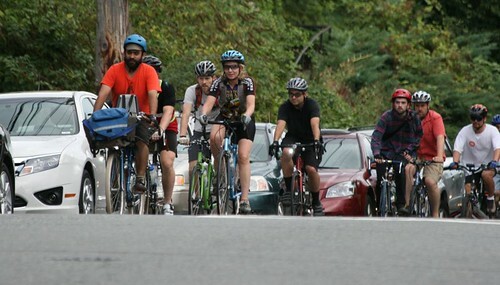 UPDATE: The Safe Streets Social memorial bike ride rode down Eastlake Ave. about 4:45 p.m. See the photos for a look. 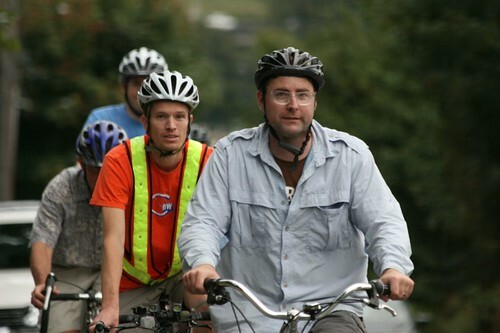 Safe Streets Social: Bicyclists from around Seattle will gather today for a slow ride to honor fellow cyclists who have died recently in accidents. Details come from Seattle Bike Blog. 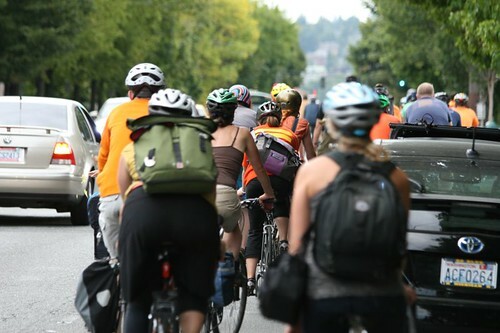 Cyclists are asked to gather at South Lake Union Park at 3 p.m. today (Saturday) and ride at 4 p.m. Riders will visit memorials for cyclists Mike Wang (on Dexter Avenue), Brian Fairbrother (Fairview Avenue N.) and Robert Townsend (University Way and Campus Parkway). 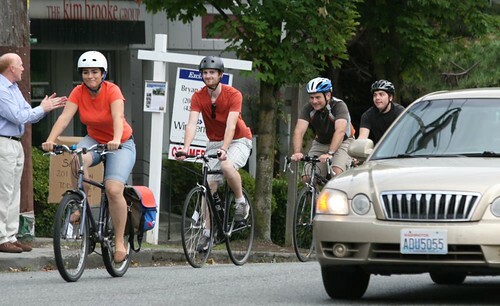 The ride will be a slow one and no one will be left behind, according to Seattle Bike Blog. Given the locations of the memorials, it’s possible we’ll be seeing a big group of cyclists moving up Eastlake Avenue in late afternoon. If you’re driving at that time, please be careful and give the cyclists space to ride safely. Read more about this event at Seattle Bike Blog. 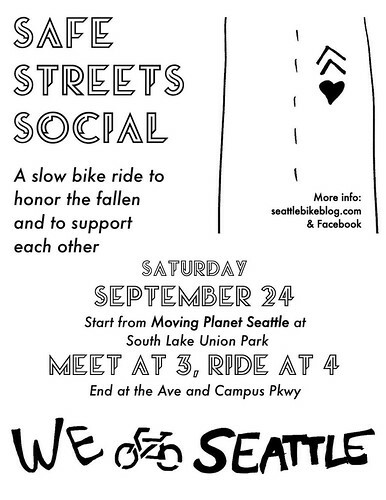 UPDATE: Tom Fucoloro from Seattle Bike Blog says the memorial ride will go up Eastlake. 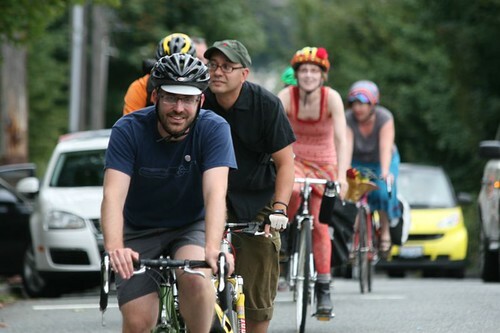 He expects we might say bikes around 4:30 to 4:45 p.m.
ECC Fall Celebration: The Eastlake Community Council and Louisa’s Cafe Bakery are sponsoring a Fall Celebration from 4 to 7 p.m. on Sunday, Sept. 24, at Louisa’s, 2379 Eastlake Ave. E. There will be small bites at no charge, $5 glasses of wine and $4 microbrews. Or, you can order off the special menu for dinner or other beverages. These community events are always a lot of fun and a great chance to meet old friends and neighbors or make new ones. Hope to see you there! 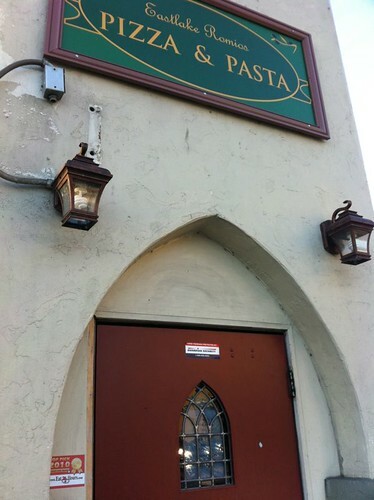 Romio’s definitely closed: The owners of Romio’s Pizza and Pasta have posted a reply to a previous story to say that they have definitely closed their Eastlake location at 3242 Eastlake Ave. E. A reader had noticed a sign in the window at the restaurant saying they were just on vacation and would reopen Oct. 3. The Romio’s owners say it won’t be them if the restaurant reopens. This entry was posted in Uncategorized on September 24, 2011 by cdmilton.